In one week I will be in West Africa. It’ll be the first time I’ve visited sub Saharan Africa and I’m oh so very excited about it. It’ll be the first big trip in years that I’ve been on with my husband (The Other Dr Scales). In 2005 we lived together on Madagascar’s wild west coast for 6 months. He was doing field studies for his PhD on deforestation and I was there to help count the trees that are left, at the same time as spotting sifakas bouncing past and trying not to fry in the dry forest heat. Then in 2008, we went on a just-for-fun trip to India. I say fun but we perhaps didn’t always see it that way. You see, our Indian travels mainly involved cycling across part of the Himalayas. For a long time I’d had this idea that I wanted to go on a long bike trip. I loved the idea of getting from A to B under my own steam and for A and B to be sufficiently far apart that you could point them out on a globe. We had a few months off (by then The Other Dr Scales had finished his PhD and I’d just finished writing my first book and was waiting nervously while my editor read it) so we decided we would go somewhere that work would never take us. And so it was that we ended up on our bikes, in treeless mountainscapes a long way from the ocean. It was an extraordinary trip – don’t get me wrong – but cycling up and down very big mountains in very thin air was quite a challenge. So I’m very relieved that lack of oxygen and precipitous mountain trails will not be the kinds of challenges we will face in the Gambia and Senegal, but I know there’ll be plenty more. We’re going for work this time. My husband is on sabbatical from his teaching job at Cambridge University. He’s scoping out new study sites (he’s a geographer, and more specifically a political ecologist) and is looking into biofuel production while I’ll be hunting down stories to write and talk about. I’ve already found some interesting coastal conservation and development initiatives that I can’t wait to get stuck into. And I’ll be keeping my eyes and ears open for other stories while I’m there. So, we are very nearly packed. We are traveling light so we can move around and take opportunities that come our way. We have some idea of where we’ll go and what we’ll do, but nothing is set in stone. 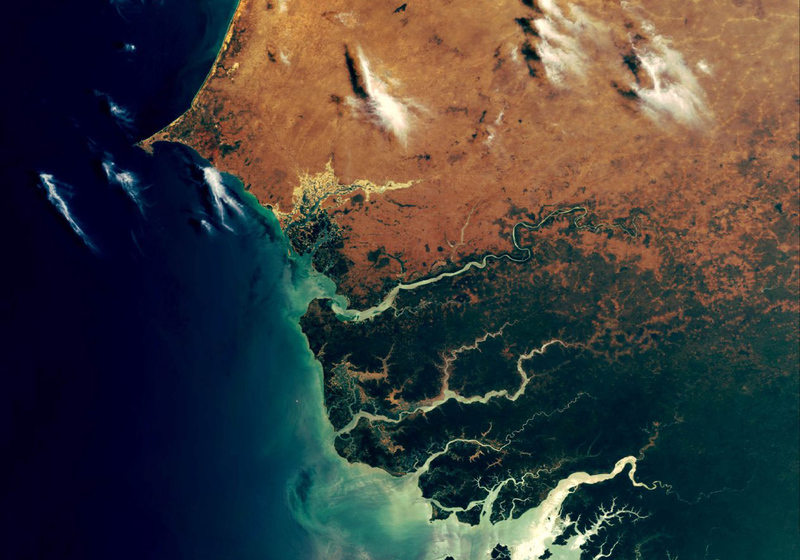 Our first week we’ll spend near the Gambian coast, settling into the tropical climate and getting our bearings. Then who knows. Like I said, it’s all very exciting. For the next two months I’ll be regularly blogging from West Africa. So watch this space. Love it! What is it with Bob Marley? Ever since I started travelling, if a kid saw me with headphones on when I was younger I was always instantly questioned “You got any Bob Marley?”. It’s like he is a folk hero. VERY cool photos! Glad you’re still enjoying your time there. We are now dreaming of the ocean, it’s very hot & dusty here in Richard-Toll.